Published on April 20, 2018 in Internet Marketing, SEO, Social Media, Social Networking and Traffic. 0 Comments Tags: Internet Companies, Internet Companies Relationships, Who owns who. It is surprising to see just how connected all of the main brands that we use are. In fact, just a few companies are the owners of the majority of the businesses that we interact with on pretty much daily basis. A huge number of brands are owned by just a few multinationals. The world seems a lot smaller when you can see all the company acquisitions that have taken place over time. The main companies globally include Facebook, Google, eBay, Apple, TripAdvisor, Expedia and a few others. 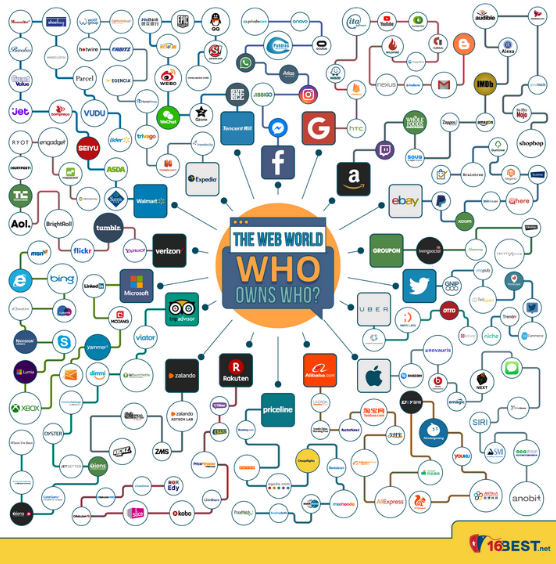 It is incredible to see just how many other companies are owned by these industry giants, many of which seem to be stand alone. Since its founding, eBay has acquired the staggering 59 companies overall. Some of these companies are also in the online auction industry, such as iBazar and Tradera. Some of eBay’s biggest buys were Skype in 2005 and PayPal in 2002. There are many reasons for these acquisitions for both larger and the smaller companies. Smaller businesses get security and knowledge from the parent company. On the other hand, bigger companies may have purchased the smaller ones for a range of reasons. Some of the most common include eliminating competition, acquiring technology and skilled workers, adding to their product range, having an additional source of income, sharing resources and many others. To us consumers, buying and selling some of our favourite brands are likely to go unnoticed. In many cases, the purchaser may not make any changes to the purchased company, while in other circumstances they might entirely redesign how it runs. CLICK ON THE IMAGE TO SEE THEFULL SIZE GRAPHIC! WebsiteBuilderau.com sent me an email about a new infographic reagarding 101 fascinating facts about domain names that is very comprehensive and useful. have a quick look, there are several interesting trivia facts as well. 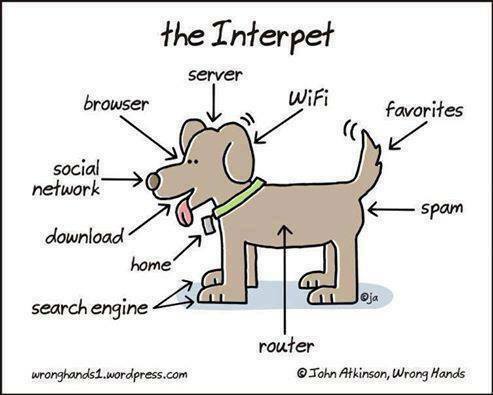 The Internet In Real Time – Second-By-Second stats…! 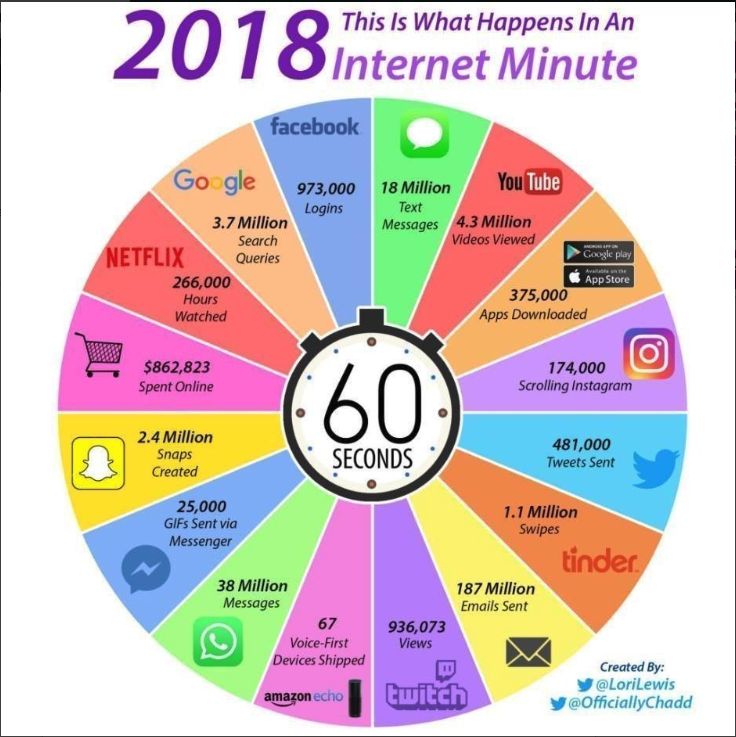 The new infographic is entitled, “Internet In Real Time.” It contains various statistics of what companies are doing second-by-second. For example, the number of Facebook likes per second or the number of Google searches per second. It covers a wide variety of popular companies including Instagram, Facebook, Snapchat, Twitter, Youtube, Airbnb and even Uber. Google To Tax Australian Adwords! Published on October 19, 2016 in Google Adwords, Internet Marketing and SEO. 1 Comment Tags: Google Adwords. As of November 1st, Google will be charging GST on Google Adwords. Published on April 10, 2015 in Internet Marketing, Mistakes To Avoid, Search Engine Optimisation, SEO and Traffic. 0 Comments Tags: Google Algorithm, Google Mobile Ranking, Google Mobile Update, Google SEO Mobile. Just when you thought you were getting on top of your SEO, rankings… Google changes the rules yet again. This time it’s to optimise search for mobile devices. Click on the link for some of the buzz it’s creating. It could be quite disastrous if you get caught with your pants down so-to-speak. 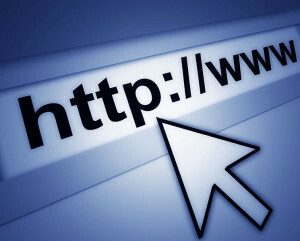 If you want to stay one step ahead of your Internet Marketing, contact us. Published on February 12, 2015 in Analytics, Blogging, Internet Marketing, Internet Tips and Tools, SEO, Social Media, Traffic and Twitter. 0 Comments Tags: Internet Marketing, Lead Generation, Online Leads, Technology. Thank you Andrew Powell for the cartoon submission! Published on June 16, 2014 in Internet Marketing, Internet Tips and Tools, Mistakes To Avoid, Search Engine Optimisation, SEO and Social Networking. 0 Comments Tags: FaceBook, Linked In, LinkedIn, Social Media, Social Networking, Twitter. Social networking websites have become a popular way to interact with people on the Internet. Thirty-five percent of adults on the Internet now have a profile on at least one social networking site, and 51 percent have more than one. Three-quarters of users between the ages of 18 and 24 have an online profile. Facebook, MySpace, LinkedIn, Friendster, Urban Chat and Black Planet are just a few of more than 100 Web sites connecting folks around the world who are eager to share their thoughts and feelings. The use of social media at work presents new opportunities to employers, but also new responsibilities. One is how to manage the amount of time employees spend using the sites and how it is affecting workplace productivity. Don’t share too much information – It’s very easy to get caught up in the social aspects of sites like Facebook, but what you choose to share is there for all to see if you don’t limit who can view your information. Sharing personal information with strangers can be dangerous business, and there are some things you should definitely put on your “do not share” list. With Twitter, you can tweet a half dozen times per day and be fine. With Facebook Business Page, once a day should be enough and the same goes for LinkedIn too. Don’t say you hate your job – You may not like your job or your boss but complaining about it on social media is not going to go down well when your boss finds out. Posting information when your profiles are linked to more than one site – You may post something innocuous on one site, but then it’s linked to your LinkedIn work profile and you’ve put your job at risk because of that posting. Failing to keep secrets – News about your workplace, for example, a planned expansion or project should be kept private and under wraps. For instance, broadcasting your visit to a competitor’s client might hurt your company’s chances of securing new business. Avoid being negative – Negative comments on social media about fellow employees, your employer or customers lowers the reputation of the company and its customers. You should showcase the success of your colleagues, your company and not just your own achievements and accomplishments. Don’t get into an argument – A difference of opinion is OK; a full-blown argument is definitely taboo. If you want to descend into mud-slinging, just remember, on the Internet, you can’t take it back – it’s permanent and will remain there… forever! Don’t boast – It’s OK to let people know you just got promoted or you just got a brand new car but be subtle – and grateful. Humility goes a long way on social networks. Don’t get personal – Just because you have some dirt on the office manager or another colleague, it doesn’t mean you have the green light to share unflattering gossip online. Do unto others as you would have them do unto you is the perfect maxim for social networking. Don’t use social media for posting defamatory or discriminatory messages – Be aware that social media can be used for cyber bullying and harassment purposes, so avoid posting offensive or threatening comments. Do not breach confidentiality – Unauthorised disclosure of company information via social media sites could include details relating to profit/loss, potential redundancies, employee personal information, client details, internal complaints or trade secrets. Do not repost articles – be careful about sharing posts you have not actually read because headlines rarely reveal the entire story. Read the article before you attach your reputation to it. Don’t compromise your organisation’s security – visiting social networking sites at work may expose company networks to malware and can help hackers steal identities and data. Hackers are attracted to networking sites because of the potential they see to commit fraud and launch spam malware attacks. Rapid posting – spamming the newsfeed. This is not the place to broadcast links to articles. Post/participate in spam comments. This is frowned upon by all. Participate in flame wars. The opinions on LinkedIn may not be the same as yours so while it may be difficult to hold back and express your opinion, do so in a professional manner. Auto-post from another social channel to LinkedIn. You cannot sync LinkedIn with Twitter; it causes spam and clutter. Auto-post from website feed. You should not auto share every post on social media. Everything you do on LinkedIn will always be taken in a professional way, unlike Facebook and Twitter. LinkedIn is not a publishing tool for broadcasting messages; it’s a networking tool for showcasing yourself as a professional and make people want to work with you, value your opinions and thoughts. Twitter is another social networking phenomenon you should be careful with. You are what you share/tweet – Just use good common sense when sharing on social networks. The Internet is now the track record of your life. Don’t share something that you don’t want to be left as a representation of you. But don’t let this stop you from making yourself known on issues and things that matter. Having no voice pertaining to certain things that your business stands behind could be worse than a few people disagreeing with your own beliefs. Be proud of who you are and represent as a business, but make sure that you know what image you’re crafting as a result. Don’t be needy – No one likes needy people on social media. So don’t ask your Twitter followers to “retweet this tweet please.” And don’t beg your Facebook friends to come “Like” your page. Get creative with the way you do things. You can still accomplish those tasks, but learn how to disguise them. If you misuse Twitter, let’s face it, everyone will see you for what you are – a TWIT! Published on May 29, 2014 in Internet Marketing, Internet Tips and Tools, Lead Generation, Long Tail Niche Marketing, Mistakes To Avoid, Search Engine Optimisation and SEO. 1 Comment Tags: Lead Generation, Search Optimisation, Search Optimization, SEO. 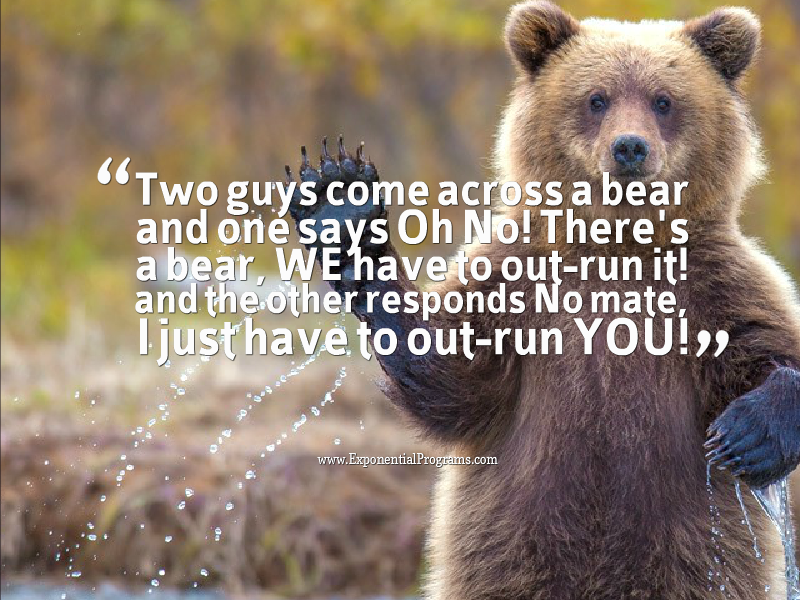 This is a metaphor that can change how you manage your Internet Marketing Strategies. Click on the image below to see how you can generate more leads for your business. Published on April 3, 2014 in Blogging, Internet Marketing, Internet Tips and Tools, Lead Generation, Long Tail Niche Marketing, Mistakes To Avoid, Search Engine Optimisation, SEO and Traffic. 1 Comment Tags: Blogging, How To Blog, Online Lead Generation, Organic Traffic, Small Business Blogging, Traffic Strategies. Last week, I blogged twice about how small business owners are generating new leads for free. The first blog post explained step-by-step how to leverage things you find online to create SEO optimised content. The second blog post demonstrated how, once you adopt an exponential mindset, you can get more new leads for free. But here’s the thing about blogs, the Internet and free stuff – MOST people read it, get a quick boost of enthusiasm and then go right back to their old (bad) habits. They understand the power of online marketing and organic traffic generation strategies. 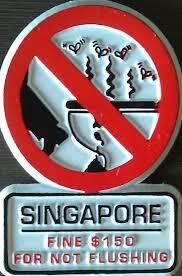 Have a look at their recent blog post on why you can’t chew gum in Singapore. It’s a brilliant example of SEO optimised blogging we teach in our 3-hour blogging webinar for small businesses. The only real difference between people who are successful online and those who aren’t is that successful people do things that work – AND – do them systematically. Everyone else just sits around “expecting something to happen” magically. If you’re a plumber, you jump on this bandwagon and blog about this…! Can you see how easy it can be to join the thread of an idea and make your blog posts just a little more interesting? Get New Leads For Free! Published on March 27, 2014 in Blogging, Exponential Mindset, Fun, Internet Marketing, Internet Tips and Tools, Lead Generation, Long Tail Niche Marketing, Mistakes To Avoid, Search Engine Optimisation, SEO, Traffic, Video Marketing and YouTube. 1 Comment Tags: Free Leads, Get New Leads, New Web Leads, Online Lead Generation. Yesterday, I blogged about how online lead generation was quick and easy, with a LIVE example. Today is a follow up with two parts. The first part is how Lynn Gilmartin had a fabulous experience floating and video blogged about it. Inner Outer Health is a client of ours and its owner, Lena Yammine was gobsmacked when she saw the video as was I. You have to take a look at the video, it’s so natural, authentic and genuine – Lena could not have paid for a better testimonial! Click on the image or on the hyperlink to see Lynn Gilmartin’s video on her Floatation Tank Experience. The lesson here is that we tech our clients Exponential Marketing Strategies that are based on high-integrity, long-term value creation principles that once adopted, become exponential due to the sheer force of the Law Of Attraction. Paying it forward reaps dividends for months, years and decades to come. A testimonial like the one Lynn created for Lena is literally PRICELESS. I am sure, after visiting Lynn’s website she totally gets it. I mean c’mon – read about her amazing journey… WOW! Isn’t it amazing how “some” people get this stuff and others struggle? The reason for my blog post today is to SHOW you how you can get new leads by adding value and leveraging the Internet as a HUMAN CHANNEL, to communicate with your audience. As you do that, you WILL reap the benefits, one click, one client at a time. If you want to learn how you can start to attract more ideal clients like Lynn to YOUR business – have a look at a bundle we put together for you to help you generate more online leads effortlessly. Published on February 1, 2014 in Blogging, Fun, Internet Tips and Tools, SEO, Traffic, Video Marketing and YouTube. 0 Comments Tags: Fun Video, Funny Video. This is a fun strategy… to grow your business exponentially. Step #1: Get a video created that captures people’s attention and gets your primary message across. Sorry, my preferred site for these videos is a secret I keep for my clients. A video like this should cost less than $100 – MUCH LESS. Step #2: Upload the video to YouTube and make sure to optimise the video to achieve the maximum SEO benefit and total views. Sorry, again those are special tips for clients only! Step #3: Embed the video into your blog. Step #4: Email your clients to watch the video on your blog – NOT YouTube directly. By embedding the video into your blog, you will get people to remain on your blog (website) longer which will improve your SEO rankings. It’s important that you syncronise your YouTube and blogging strategies for maximum results. I explain all of this and more in my Internet Lead Generation Toolkit. Published on January 27, 2014 in Blogging, Internet Marketing, Internet Tips and Tools, Lead Generation, Long Tail Niche Marketing, Mistakes To Avoid, SEO and Traffic. 0 Comments Tags: Google Rankings, Search Engine Optimisation, Search Engine Optimization, SEO, Top Of Google. Getting to the top of Google’s search listings is not hard, if you know what to do. Here is one quick and easy way to get there. Use the Google Keyword tool to find a relevant four-word phrase in your industry that has several thousand searches per month. The more specific the phrase, the better. Create a short video (Maximum 2-3 minutes) with a call to action to go to your website. As we have discussed, you are better to send people to a landing page and not your home page. Upload the video to your YouTube channel. We teach how to optimise your video editing the title, description, tags, etc. contact us if you want to learn how to do this. View your video in a couple of different browsers. View them from start to finish, this is important! Embed the video in your blog and view the video on that page. This gets you to the top of Google, but the trick is to STAY THERE. That requires on-going tips, tools and techniques that are beyond what we can offer on a blog. Click on the hyperlinks if you want to learn business blogging strategies, how to turn browsers into buyers or generate more leads via the Internet. If you aren’t leveraging these strategies, you’re either spending way too much time, money and/or effort. What we teach are the fastest, easiest and least expensive strategies to get free organic traffic to your website and/or blog. The challenge is not to cheat and use black hat strategies that will get you knocked off the search engine listings. BEWARE of the SEO service providers who “guarantee” listing results. They might GET you there, but staying there and NOT being penalised by Google is another matter. Trying to “undo” their tactics could cost you hundreds of hours and thousands of dollars. In one extreme case, the website was banned from Google which essentially killed the business “overnight”. A frightful thought. Published on January 14, 2014 in Analytics, General, Internet Marketing, Internet Tips and Tools, Long Tail Niche Marketing, Mistakes To Avoid, SEO and Traffic. 0 Comments Tags: Search, Search Engine Optimisation, SEO. When we track down an SEO agency that finally fits the bill, conveys the right message and checks out against a pile of references they’ve thrown our way, the battle is won and we can now get on with the challenges of being a business without the online clap-trap, right? Leaving your online presence and eventual income charts in the sticky hands of an SEO agency is risky, even in the best of circumstances and relationships; SEO is an industry that changes quickly, with an average of two algorithm changes being processed by Google every day. While they stay on top of things and fling us through reports, our eyes should scan the page and critically measure their performance, based on the three following indicators. SEO professionals are trained, semantic artists, often finding the positive spin in a report and embellishing the details. Whilst shopping around, make sure you carefully select an ethical company like Search Factory to represent and hone your online interests. If you’ve already taken the leap and plunged into a dotted line fiasco, ask to see a traffic comparison in an easy to understand format over the last month against the preceding month, the last three months, fluctuations over six months and comparisons to the previous year (if you have data dating back that far). If they dance around these figures and neglect to provide you with meaningful information, something shady may be going on and your money may be invested better elsewhere. When was the last time you set eyes on a keyword report that didn’t bore you to tears and lead you to tear your hair out with confused frustration? Agencies can be fond of over-feeding clients information they don’t need to process, hoping to distract their focus from a complete lack of results across the board. Make sure your report includes an easy to understand table of keyword rankings (and know which keywords you’d like to be ranking for! ), complete with increased or decreased search volume, converting keywords and dead keywords. A competent specialist will guide you through what everything means, pulling parts together into one cohesive picture that doesn’t make you want to throw your computer out the window. If your agency doesn’t have time (or make time) to sit down with you and drill into keyword reporting, you need to question whether you are really their priority; there’s nothing worse than being taken for a ride and paying a premium mark-up for the pleasure. Upon opening an SEO report, a range of indicators should automatically be indexed or at least apparent as the pages roll on. If your reports lack any evidence of back-linking, from process to mention, pick up the phone and demand more information. Chances are, your nominated SEO company has completely neglected a very important facet of ramping up sustained rankings. Think of the Internet as a mega-city; you have ghettos and caravan parks, middle class dwellings and specialists, expensive neighbourhoods and affluent areas – link building allows SEO agencies to tap into this embedded social hierarchy and put your brand in touch with the right people, managing not only your online reputation, but audience perception through association. The absence of these negotiations is not only preventing your company from climbing a very competitive exposure ladder, it may work against you in the future, as you struggle to play catch up to competitors who have made smart choices in link building activities and grown a strong following or a database of highly ranked websites. Don’t shoot yourself in the foot before you get started! Everybody has an opinion. So what about the rest of us? What do you think SEO agencies should include on reports, or do you have a horror story to share with me? Thoughts, ideas, anecdotes are welcome! Jessica Hannah is a part of the team at Search Factory, a leading Brisbane SEO agency. Published on December 10, 2013 in Conversion, Internet Tips and Tools, Lead Generation, Mistakes To Avoid, SEO and Traffic. 0 Comments Tags: Convert Visitors To Buyers, Online Conversions. Once you have traffic to your website or blog, the next hurdle to overcome is turning website browsers into buyers. Easier said than done – unless you learn WHAT and HOW to do it, then it’s actually quite easy. Almost as easy as flipping a coin and hoping for the best!